KEVIN Durant and Klay Thompson produced 30-point games as the Golden State Warriors took a stranglehold on their Western Conference playoff series against the San Antonio Spurs with a 116-101 victory on Tuesday. The Warriors moved into a 2-0 lead in the best-of-seven series, overcoming a determined Spurs team determined to bounce back after being outclassed in game one. San Antonio started strongly with LaMarcus Aldridge, who finished with 34 points, driving the Spurs forward as they shaded the first period 25-23. Australia's Patty Mills started and poured in 21 points. The visitors continued to rally in the second quarter at the Oracle Arena and had moved into a 53-47 at half-time. But Golden State's relentless pressure and offensive variety - even without the injured Stephen Curry - inevitably began to tell in the second half and the reigning NBA champions slowly turned the screws to overhaul San Antonio and pull clear. Durant finished with 32 points, six rebounds and six assists, and Thompson had 31 points with five assists. 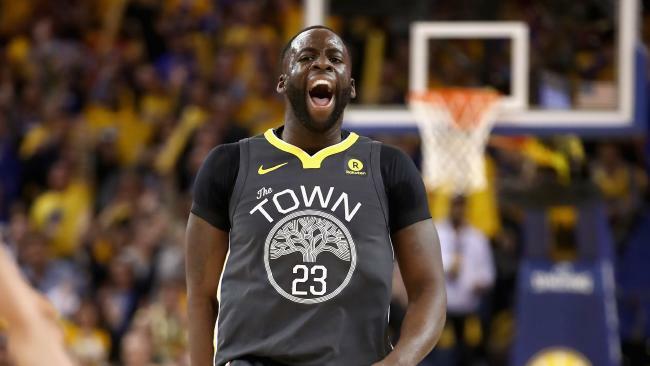 Three-pointers from Draymond Green and Quinn Cook put the Warriors 94-79 ahead and the only question from that point was the likely size of the victory margin. Game 3 is in San Antonio, tipping off on Friday (AEST).